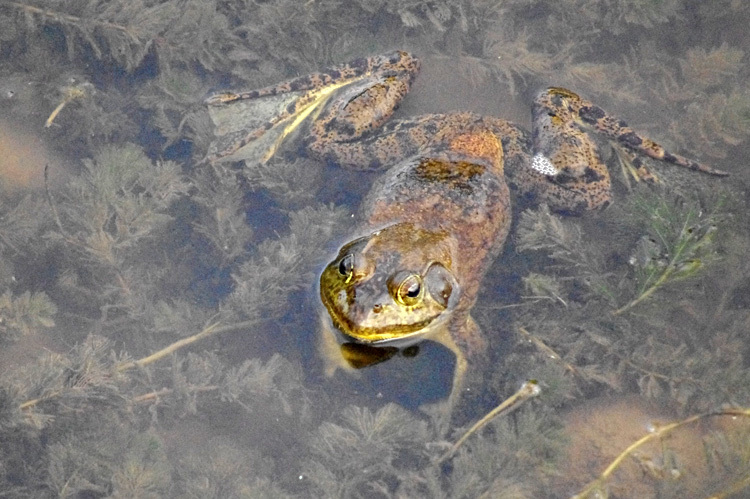 Oh, it’s a bullfrog, all right! You should have heard it. Shot in Pilar, NM from a low bridge over the river.